Winter Season is almost at an end, and I hope you’ve all enjoyed the season thus far. 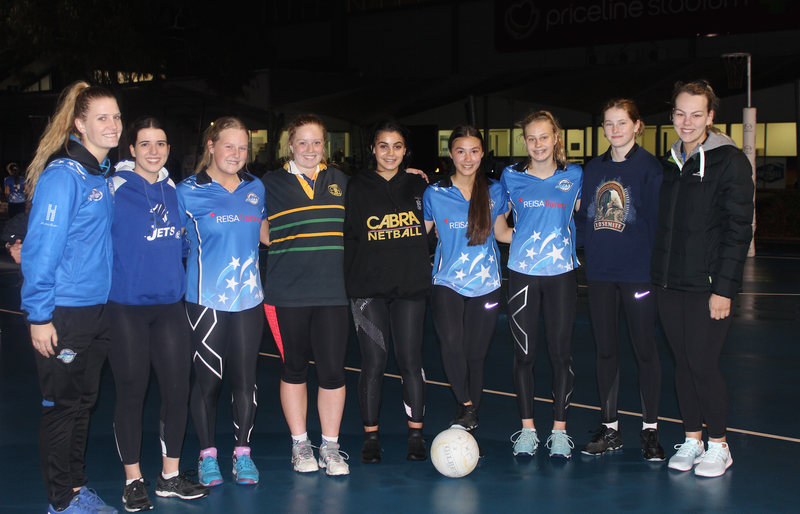 This weekend Semi-Finals commence, so we would like to wish all our Jets teams the very best of luck. Congratulations to our Primary 1 and 2 teams, our Junior 4 team and our Senior A’s who are all going to be fighting contenders in their divisions. You’ve done the hard work all season, so keep it up! 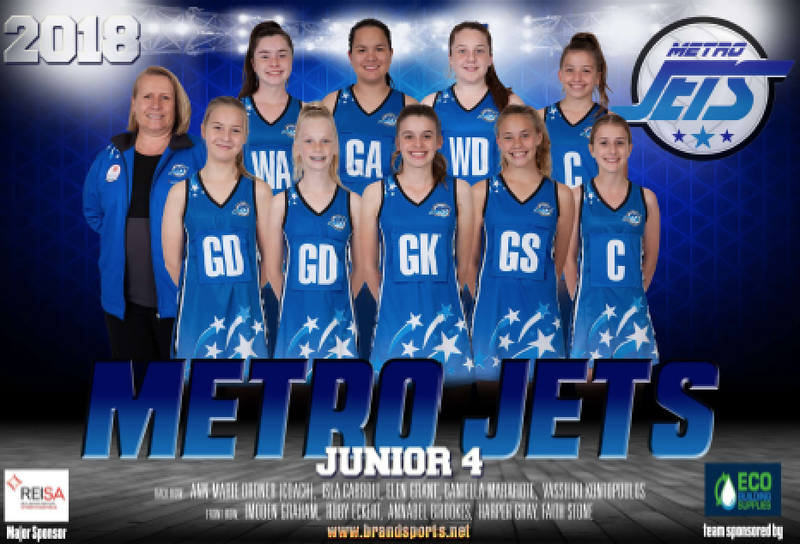 Please check the Jets Finals Flyer for more information on the teams, times & court numbers for our finalists. We hope to see you all there showing your support – Go Jets! 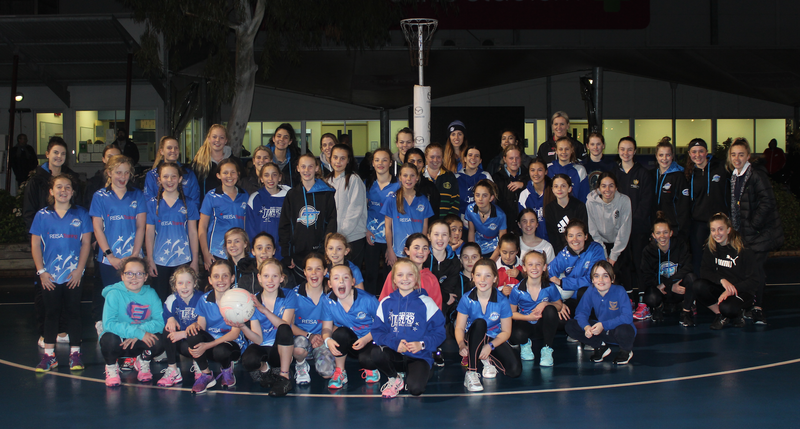 The Club has had a very busy past few weeks with Summer Trials, our AGM, Coaches Workshop and Buddy Night. At this weeks’ AGM the President, Vice-President and Secretarial roles were all re-elected with all three ladies continuing for another term with Metro Jets. 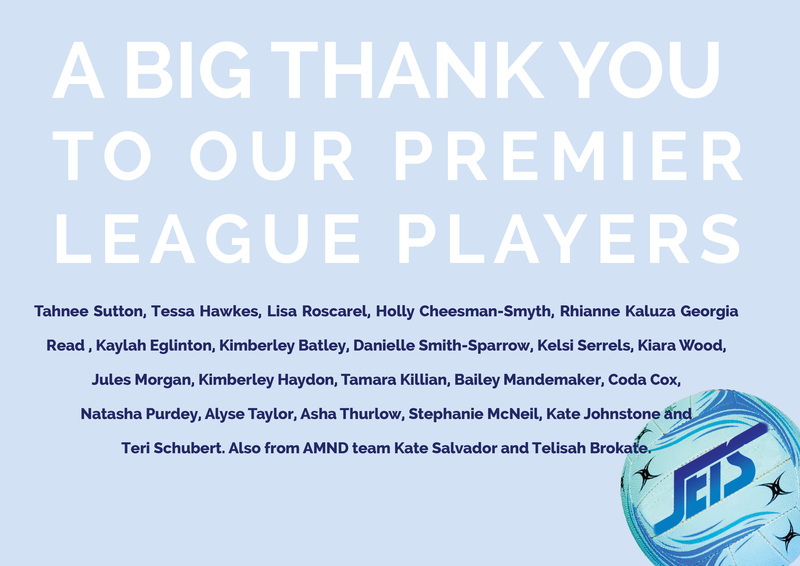 I would like to thank these ladies for the continued time and effort they put towards our Club. 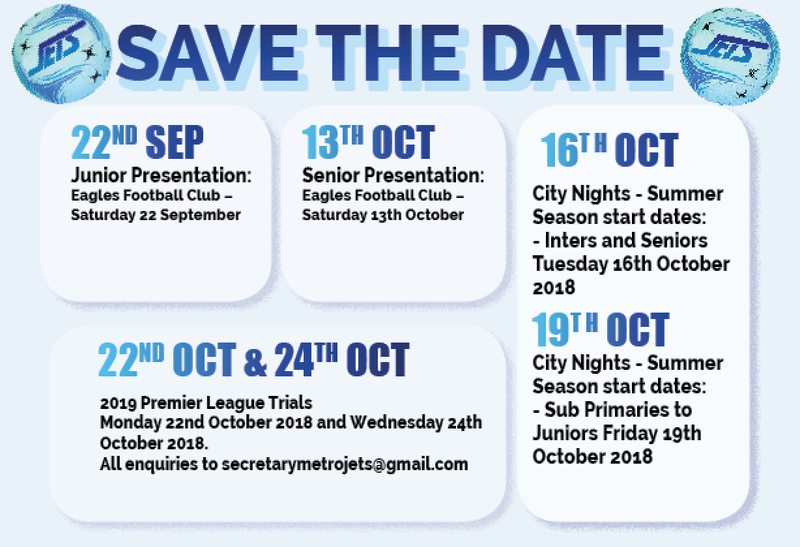 The Club is looking forward to celebrating the 2018 season with all our Jets players and families at the upcoming Junior & Senior Presentation Nights. Both nights will be held at the Woodville West Torrens Football Club on the 22nd of September (Juniors) and the 13th of October (Seniors). 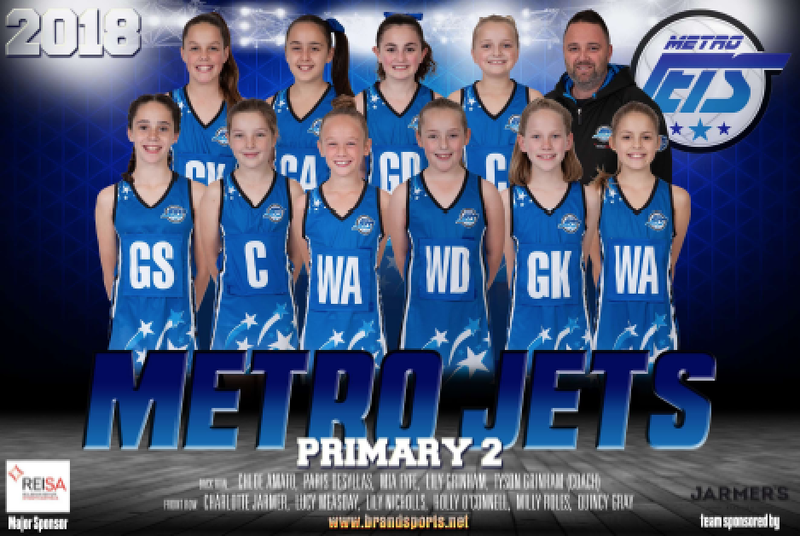 We would love all our Jets teams to attend, so please get in early and organise your bookings. 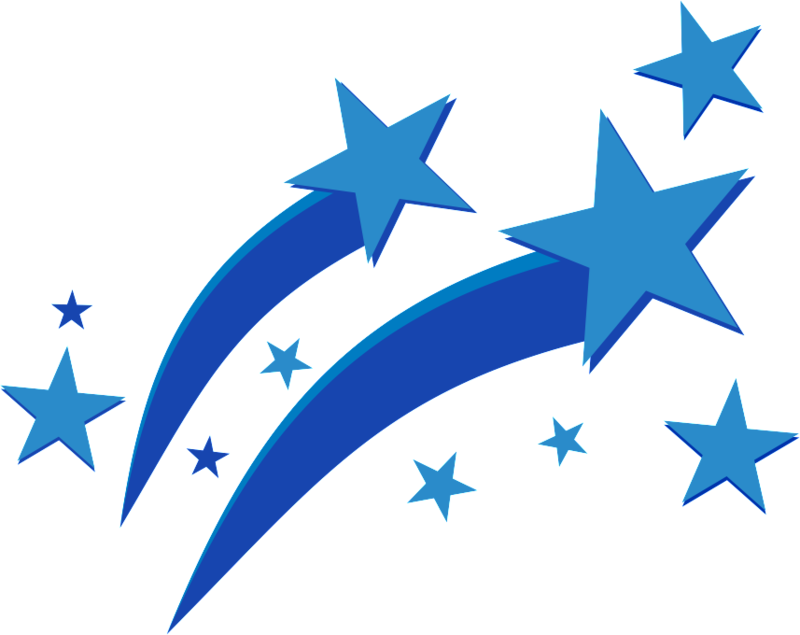 Lastly, an extra special mention must go to all the businesses and families, who have supported Metro Jets with sponsorship throughout 2018. 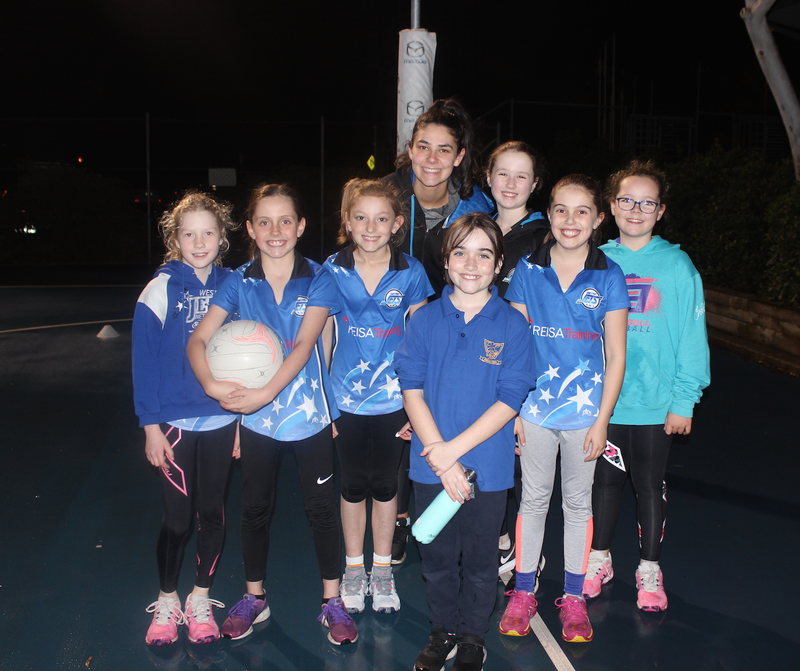 The Club are working very hard to promote netball and the development of our players, Coaches and Officials at all levels and age groups. So, it was great to see a number of new sponsors this year, and the Committee would like to thank you for your generous support. Good luck everyone for the remainder of the winter season! Go Jets! Well after a long season which commenced back on the 20th November 2017 when preseason began and was completed on Friday 17th August 2018 it is with great admiration for our athletes to be able to say, that we went from bottom of the table to fifth place in a season that earmarked many highlights for our Premier League namely most wins in a season 5 in total and our Reserves side two wins (their first ever in a season). Also important to note is that the number of games played by our starting eight was extremely consistent again another first. To see the cultural change along with increased commitment and workload from these athletes was commendable and whilst it does not guarantee us anything for next year it certainly gives us a good base to start from. 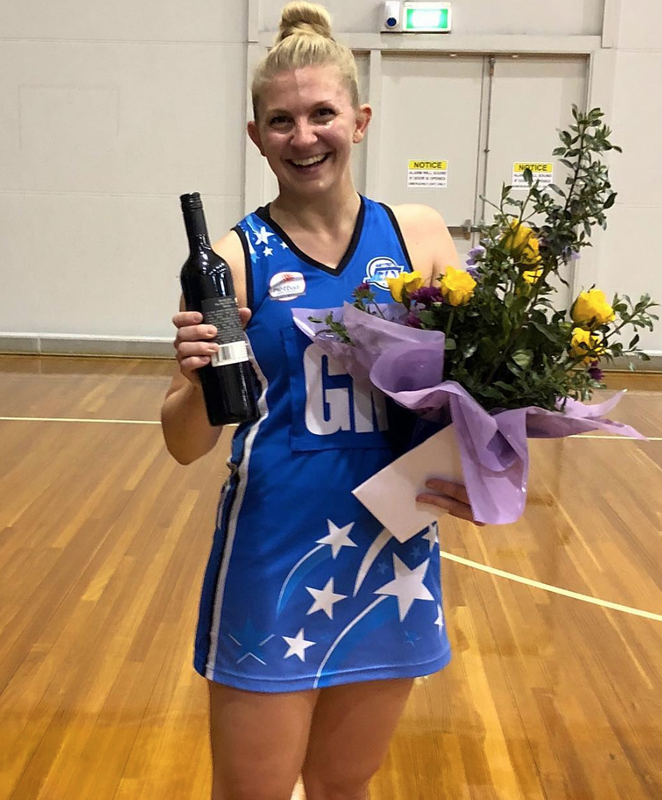 As the season has ended we have also retirements and we would like to acknowledge Stephanie McNeil whose career has come to an end after many seasons of Premier League and also a past captain of the club. 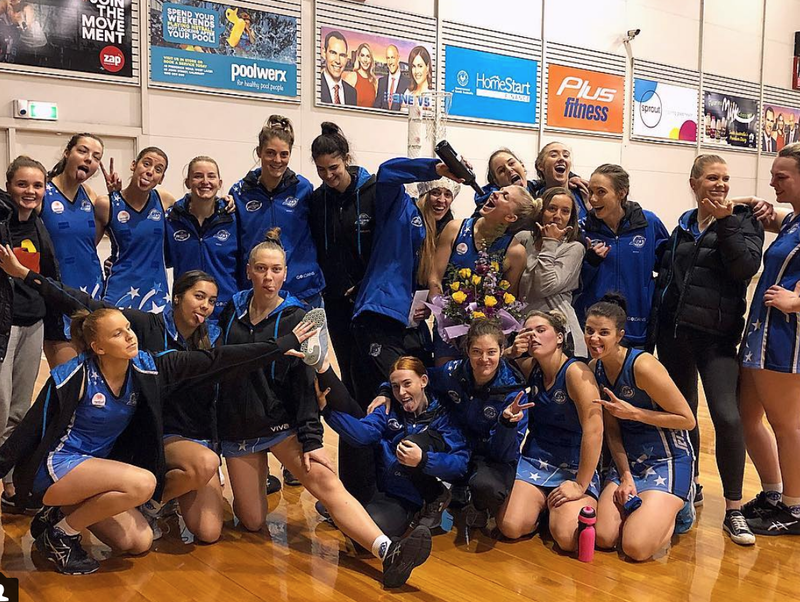 Steph’s leadership calmness under pressure and sheer strength of willpower will be sadly missed by all along with her commitment to give the best she has every time she takes the court a lesson for every up and coming player in our club. On behalf of the squad and everyone in the club who knows Steph we wish her well for the future and thank her enormously and we hope when she returns from overseas she joins us again in the next steps. We would love to see everyone out there to support our teams through their finals campaigns!! 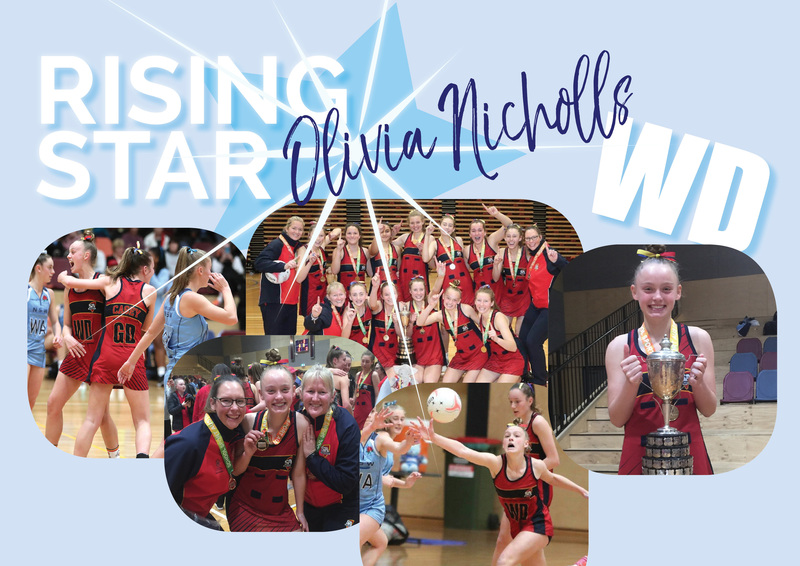 Olivia Nicholls from our Junior 1 side made the SA State under 15’s side this year. 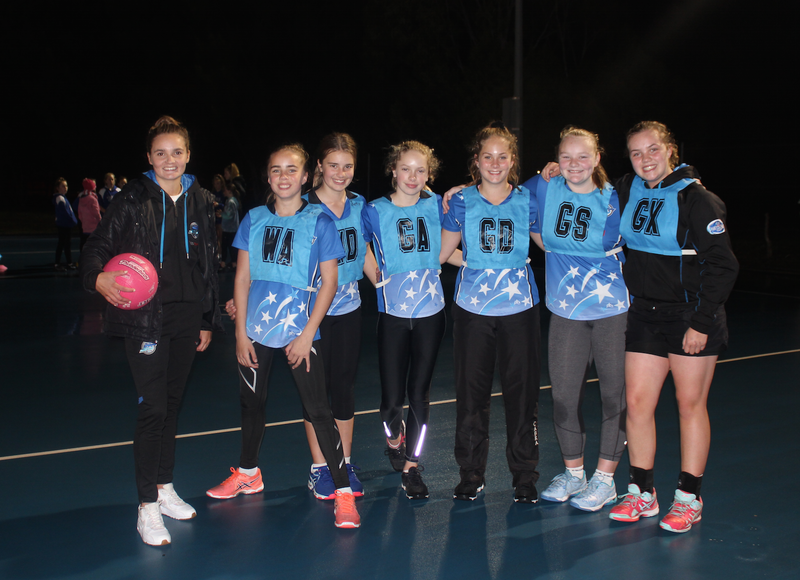 Playing In the State U/15 netball team this year was the best experience of my life so far. There was a lot of training but it was so worth it as it gave my team such a strong bond and the intense training taught me so much. 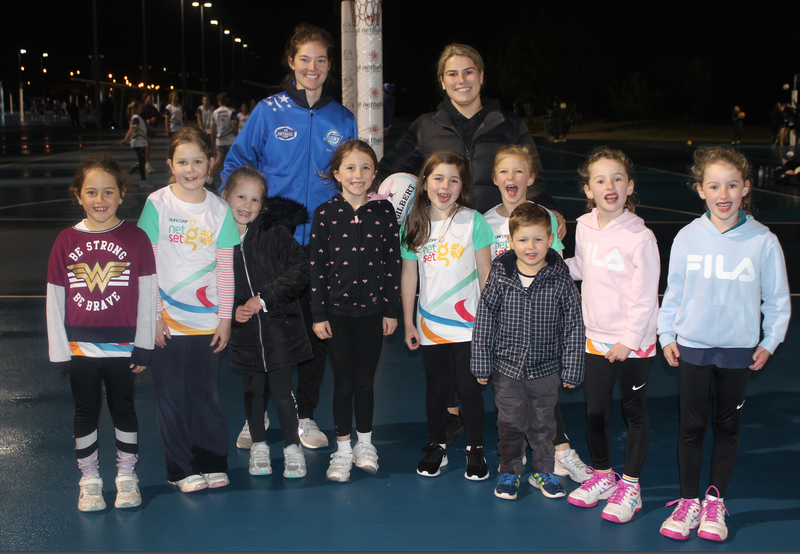 The week away in Werribee was so much fun. I played in WD and got to play 31 quarters out of 36. Some of the games were the hardest I’ve ever played in my life and when we lost a game against WA on the third day, it left the whole SA team shattered. We picked ourselves up and headed into finals and in a true dream come true, we won GOLD! It was the 1st time in 24 years that SA got to bring home the cup and I feel unbelievably lucky to be a part of that team. I was also lucky enough to be picked as a reserve in the Australian Team who head to New Zealand to play in March. While I won’t get to go as a reserve, it gives me extra incentive to make the State U/15 team next year so that I can have a chance at representing Australia. The perfect snack for pre and post games. 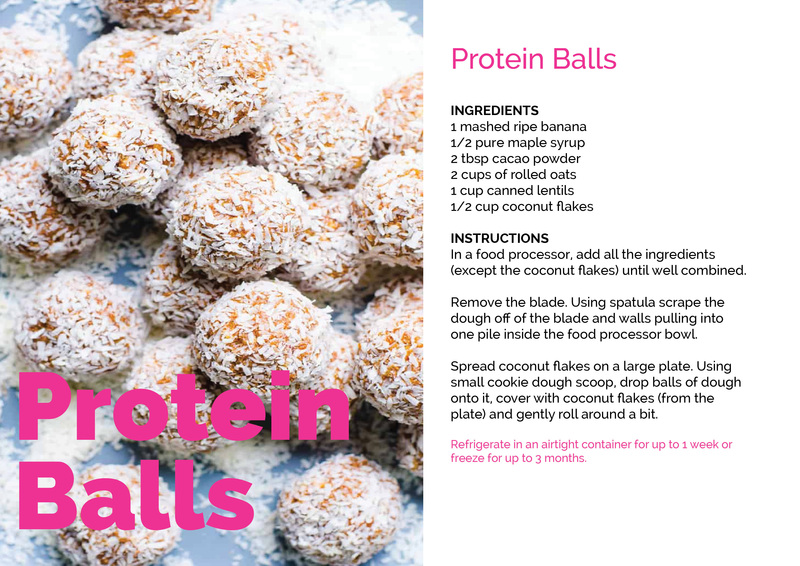 These protein balls are simple to make and are filled with goodness. 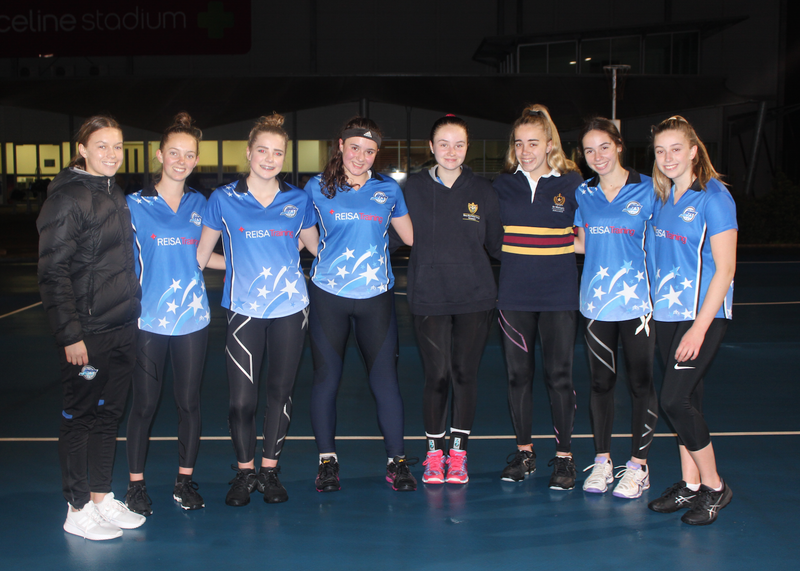 Metro Jets ran another NSG program again over winter and it was great to see all of these new up and coming players get out there and take their first steps (no pun intended) in their netball careers. 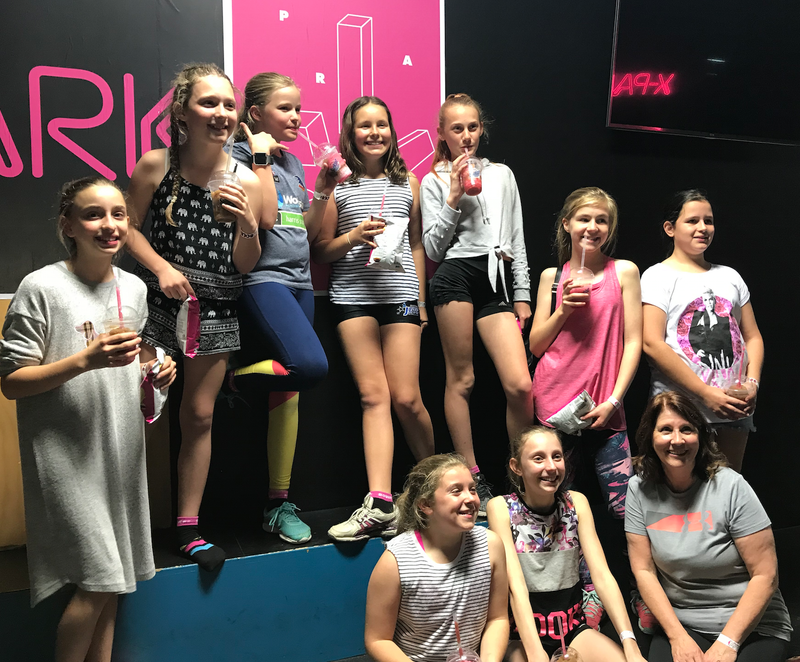 The Committee would like to thank Kim Batley one of our Premier League players for running the sessions and also for some of the other PL girls who came out to support Kim and the club with this year’s NSG program. We wish Ava Roles, Abby Forbes and Eloise Merchant the best of luck as they are being tested for their National C Badge at the Mellor Olsson Academy Games in October. Keep an eye out on our Facebook page to see how the girls go. 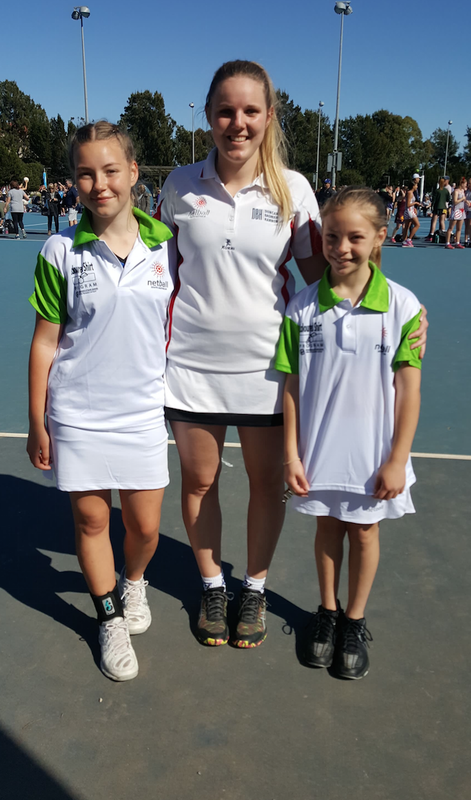 Also, congratulations to Sarah Browning and Lisa Cawdron-White for their recent invitation to be a part of the Netball SA Summer Umpiring Program, which will see them umpiring the A1 competition and receiving consistent mentoring from Netball SA mentors. A special mention to one of our youngest umpires Q’Hara Rootman. Q’Hara also competed at the L4 to 6 State Championships. Ended 8th out of 31 Level 5 and officially upgraded/got her L5 badge. Well done Q’Hara!! 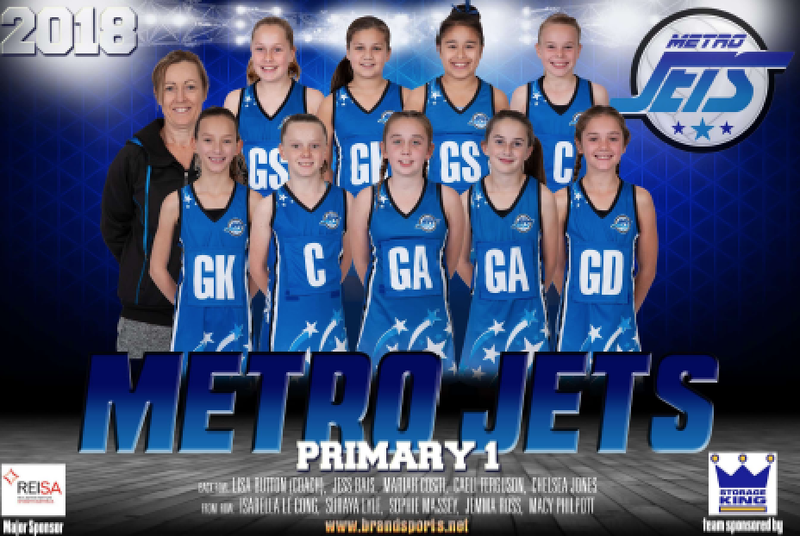 Thank you to all of the Metro Jets umpiring team for their hard work and commitment this season. I look forward to working with you all in Summer season. If you are interested in becoming an umpire, please email metrojetsumpiring@gmail.com for more information. A big shout out to the Sub Junior 3 team and the AMND teams for sharing some extracurricular training sessions that the had last week. From the photos you can see that they all had an awesome time. We had our second Buddy Night for the season and it was a fun night for all. The teams enjoyed a rigorous session of fitness and drills delivered by the PL Players and this was then followed by some fun with the teams competing against each other in Tunnel Ball. The Sub Junior 2 team took the honours in winning the tunnel ball competition. 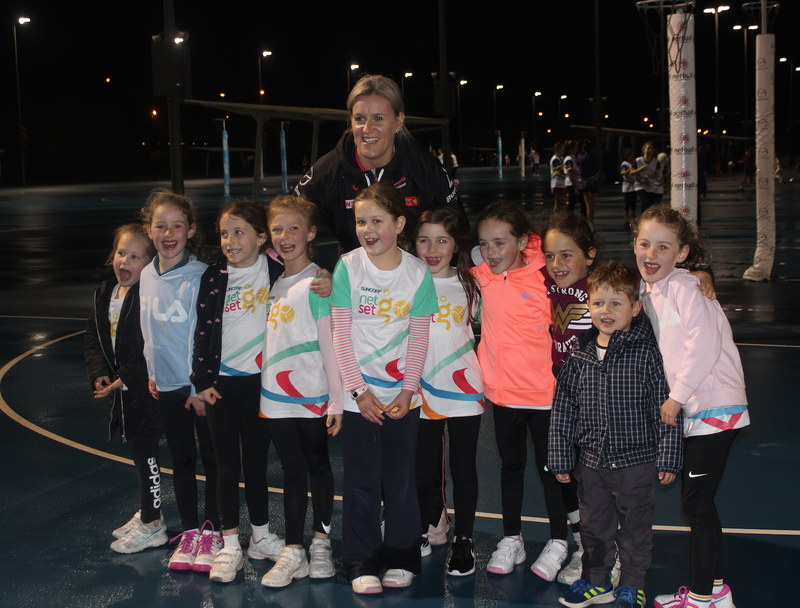 It was a very enjoyable night for all as we also had a surprise visit by Leana De Bruin the Thunderbirds captain. Leana came and visited some of the teams and gave some defensive insight to our players and joined in on some drills too. The night finished with Pizza for all the players. The Committee would again like to thank the PL Squad for being Buddies and for coming out and sharing your skills and knowledge. The Committee wanted to thank all of our wonderful volunteers for everything that they do to make our club successful. If you can spare some time through the year to help please contact secretarymetrojets@gmail.com and let us know. 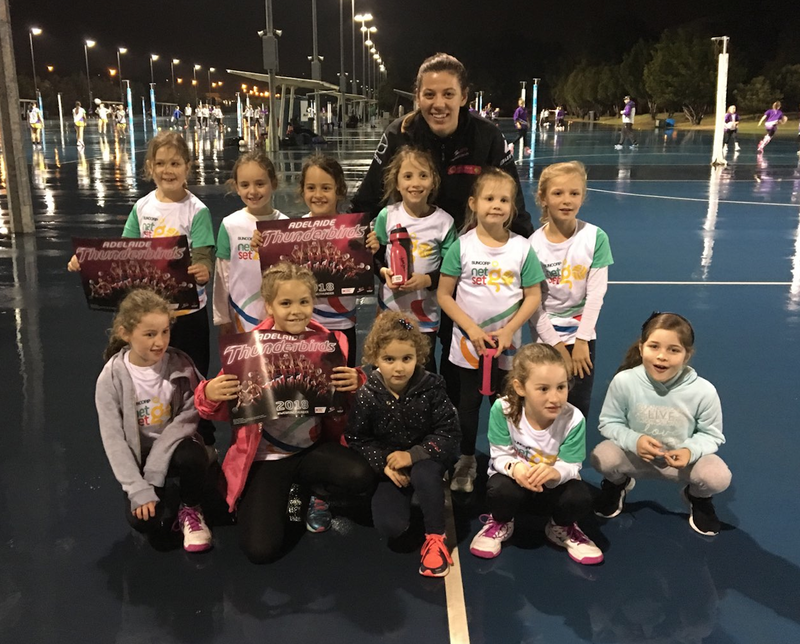 We understand that parents are busy and can’t always commit to everything but there are many small jobs, a lot of them just once a year that are important and we really need your help to keep the club running efficiently. 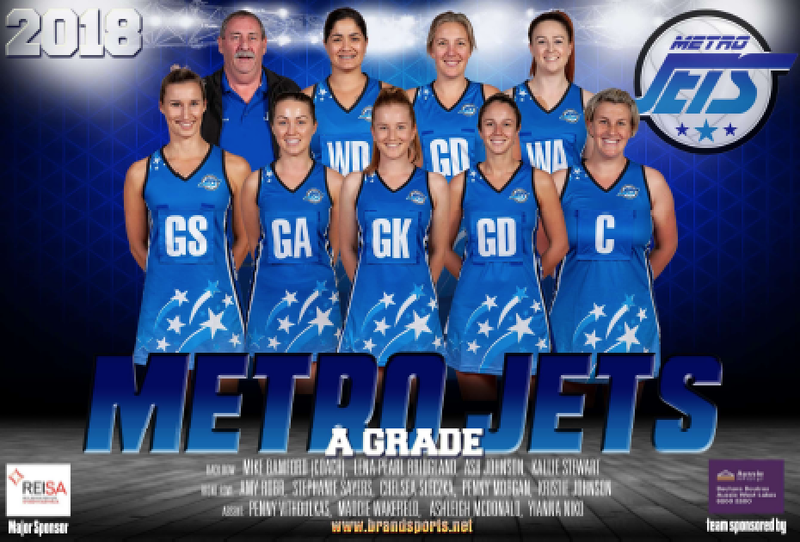 For all your JETS NEWS, UPDATES, PAST NEWSLETTERS & TEAMS….